The year was 2007 and I was 29. Sorry. I don’t have that kind of story for you today. 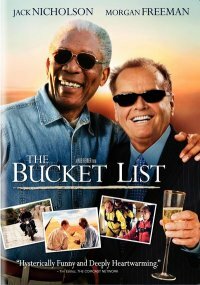 2007 was simply the year that the movie The Bucket List was released. I still haven’t seen the movie. If it’s worth watching, let me know. But I’m guessing it’s pretty predictable, which I hate in a movie. The reason that movie is important to me is that it’s the first time I’d ever heard that phrase. I’m sure the phrase existed long before the movie, I just had never had come across it before. So now, thanks to Morgan Freeman and the year 2007, I know what the term “bucket list” means. But there is ONE thing. I want to run across the United States. Yeah, run, as in RUN. Okay, I’m trying to make this sound super-dramatic, but the fact of the matter is that a lot of people have done this already. Some of them famous (Google Dean Karnazes), some of them just ordinary people. Some have done it on their own, some have done it with a corporate sponsorship, and many have done it as a way to raise awareness or money for a charity or cause. Forrest Gump did it just because he felt like it. My reasons are kind of a mixed bag. If I could gain enough attention and notoriety that I could raise enough money for a charity, then I would (either for Juvenile Diabetes or for Autism in case you’re wondering). I’m a huge advocate for the shoes that I run in, so if running across the country would peak the interest of other runners in my shoes, then that would be cool too. 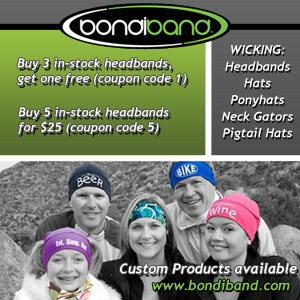 (And doubly cool if it meant that the company would sponsor me to do it). But mostly I just want to see the countryside on foot because it’s my favorite way to travel. And I want to know if I can actually do something of that magnitude. Scratch that. I already know I can do it. I just want to prove it. In my mind, I have an idyllic picture of what it would look like. I’d have a large tour bus (ok, maybe a camper van) driven by my doting husband to scout out the roads, deliver meals, clean clothes, a bed, a shower, and some Band Aids when I need them. My parents, my children, and my friends would fly out to meet me at various locations and travel alongside (either in the tour bus… ok, ok… VAN…) for a few days at a time. I’d run from the Pacific to the Atlantic, and make it onto a few local news shows along the way, garnering my 15 minutes of fame. I’d capture the most fantabulous photographs and memories, and I’d push my body to the utmost extreme limits. When I finish, there’d be no need for a bucket or a list. What more could there be after that except to sit back and just experience the rest of my life? Reality is that my chances of actually running across the United States are slim. Not impossible. Just slim. I’ve hedged around the idea of this to my doting husband a few times, and he’s not exactly on board. He goes along with so many other things that I challenge myself to do, and I think this one might be just a little too over the top for him. Plus, we don’t own a tour bus OR a camper van. And my husband doesn’t really enjoy long car rides. He doesn’t hate them as much as my dog does, but he’s not a fan. Plus, my children are teenagers. Probably not the best idea for me to leave them for a large portion of the year. So they’d have to come with us, which means we’d actually need that tour bus to fit us all comfortably. And my husband would have to be the driver AND their home-school teacher. However, it’s not impossible. So even though I don’t have a list, I do have a bucket with that one drop of hope in it that I’ll get this done.